Celebrating 50 years of the children’s series, the 16 new stamps will feature familiar faces known all over the globe including Elmo, Big Bird, Bert, Ernie, Cookie Monster, and Oscar the Grouch. The U.S. 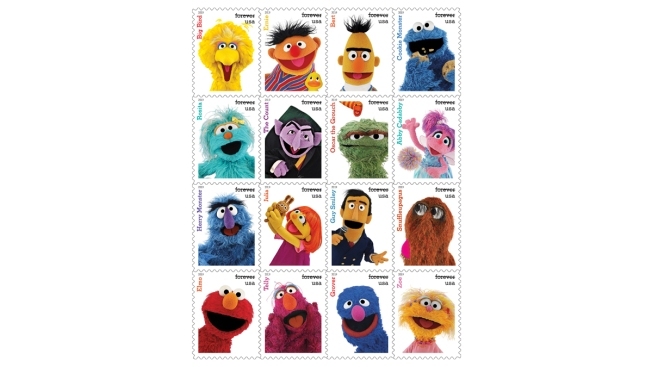 Postal Service today announced additional stamp subjects Tuesday, March 12, 2019, including a set (pictured) honoring television series Sesame Street. The U.S. Postal Service announced it is introducing a colorful line of stamps inspired by "Sesame Street" characters. “For the last 50 years, [Sesame Street] has provided educational programming and entertainment for generations of children throughout the country and around the world,” USPS said in the press release of their inspiration behind the new stamp series. More details, including dates and locations for the first-day-of-issue ceremonies, coming soon.